Have I mentioned before that we live in deep, deep South Austin? It's not exactly the boonies, and we really are just a short drive from most of our favorite Austin restaurants, but finding tasty local places in our neighborhood, other than a few trailers with unpredictable hours, has been a little tough. We tried a doughnut shop the first Saturday in our new home that we instantly regretted and the closest Chinese restaurant is not a good option. At all. So, when we are craving a bite out, we usually head out to greener pastures further North, but still South, to 78704 territory. A few weeks ago when Independence Fine Foods opened up a mere 5 minutes away, we were very hopeful. Hopeful that maybe, just maybe this place would be delicious. I am so glad to say, our wish came true. 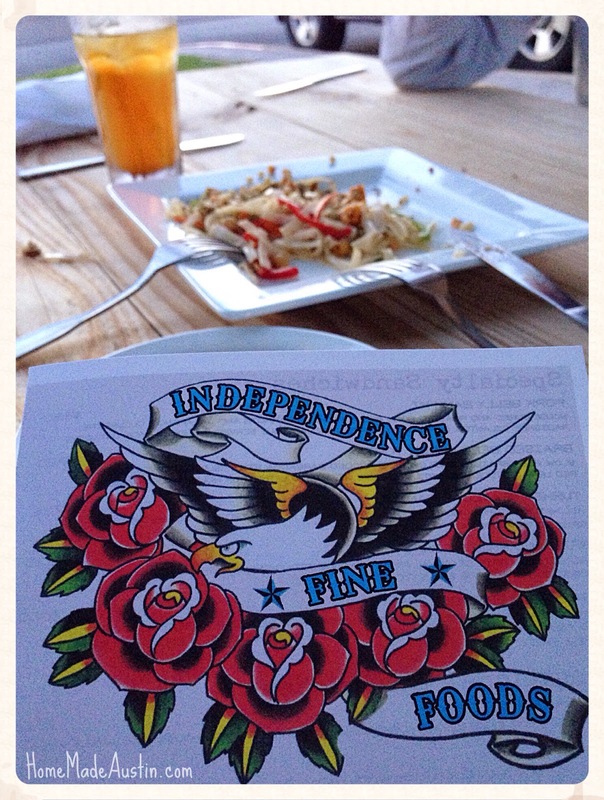 Independence Fine Foods is delectable laid back gourmet. Set up as a counter, with a daily dinner special and lunch/dinner sandwiches, burger and deli-style options. It is great for a sit down dinner, or take out, which makes for quick but scrumptious weeknight meal. On Friday we had dinner out on their picnic tables, & on Saturday we came back for take-out chicken salad & sides. Both meals were fantastic. 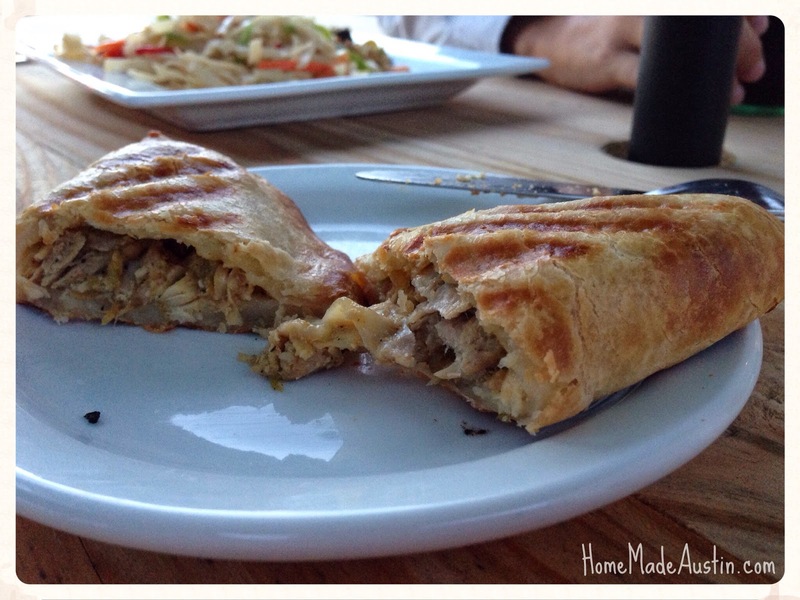 The empanada was one of the stunners of the evening. The crust was rich and just soft enough, & that filling. Oh man. The green chile chicken filling was awesome & kept getting better with each bite. We also tried a couple of salads from the deli case as appetizers. 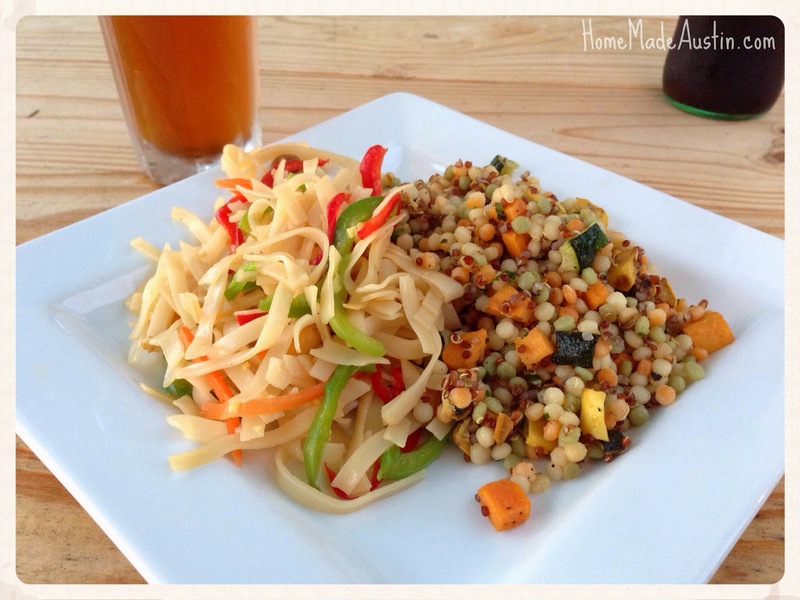 The Asian Noodle Salad (left) was simple, but so. very. good. It was so delicious that we got it again the next day. The sesame dressing was a perfect compliment to the cold rice noodles & crunchy peanuts. The CousCous & Roasted Squash Salad (right) was also a winner, with a little bit of quinoa & sweet potato mixed in, it reminded me of a cool Fall day. We also had to try the dinner special for the evening. Top round with sauteed spinach & mashed potatoes. Yeah, that was yummy. 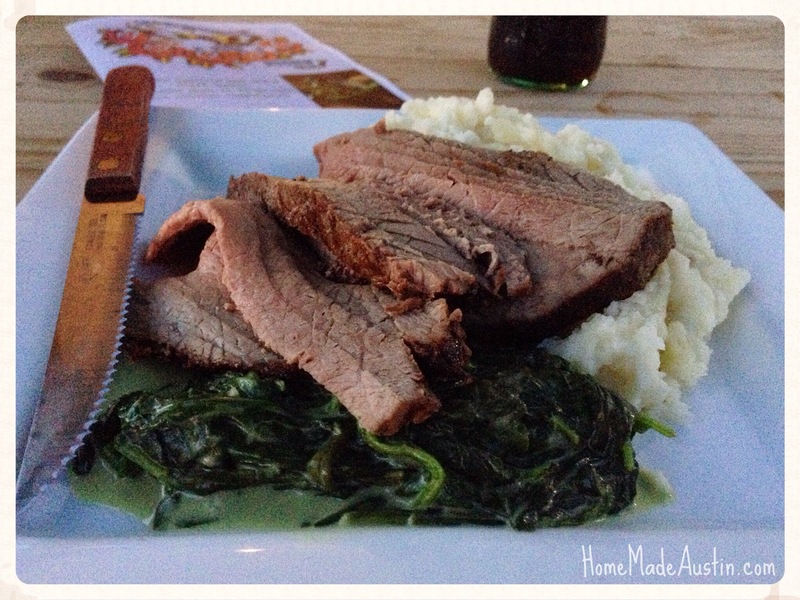 You could taste the freshness of the spinach, the mashed potatoes were nice & creamy & the beef was cooked so well. I can't wait to try some of the other daily specials. 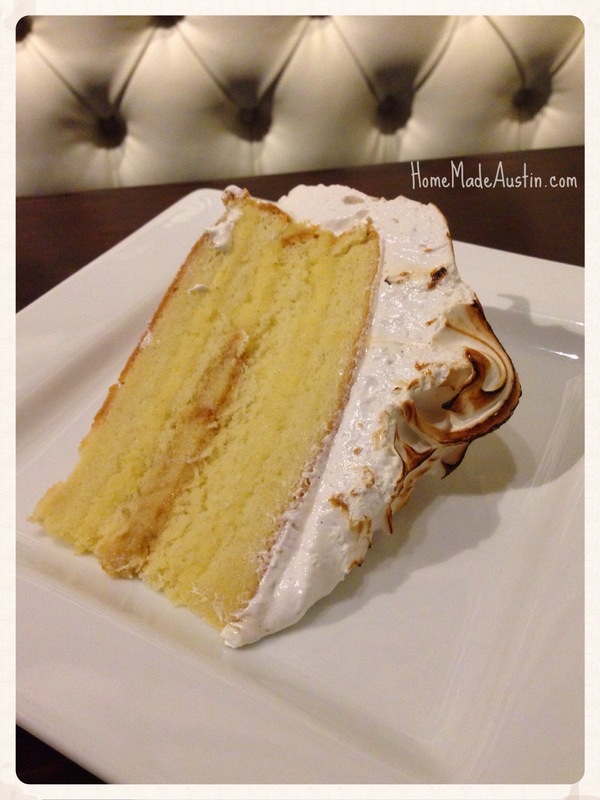 We topped our night off with Sunshine Cake, which lived up to it's name...I loved it. The frosting reminded me of a childhood favorite, 7 Minute Frosting, but without all the extra sweetness, which my adult taste buds absolutely appreciated. Everything morsel we tried was fun & fresh, & the service was top notch. The staff was happy to talk about each dish we were interested in & they use a ton of local foods, which scores them extra points in my book. We will be coming back soon, I can tell you that much. Open Monday - Saturday, 7:00 a.m. - 8:30 p.m.